The bill will rob writers, publishers, designers, composers, animators, choreographers – essentially all originators of creative works and content, including cultural creators – of their rightful earnings, by allowing republishing of their content for free. In terms of the bill, this can all be justified, as long as it is said to be for "educational purposes", which in itself is vague and can be exploited. The bill is unfortunately not balanced and now focuses on protecting the rights of users of content, instead of the rights of content creators to earn a decent living from their works. These rights must be protected if we are to continue growing our nation's body of knowledge and culture. Today, the fate of South Africa's creative industries lies in your hands. 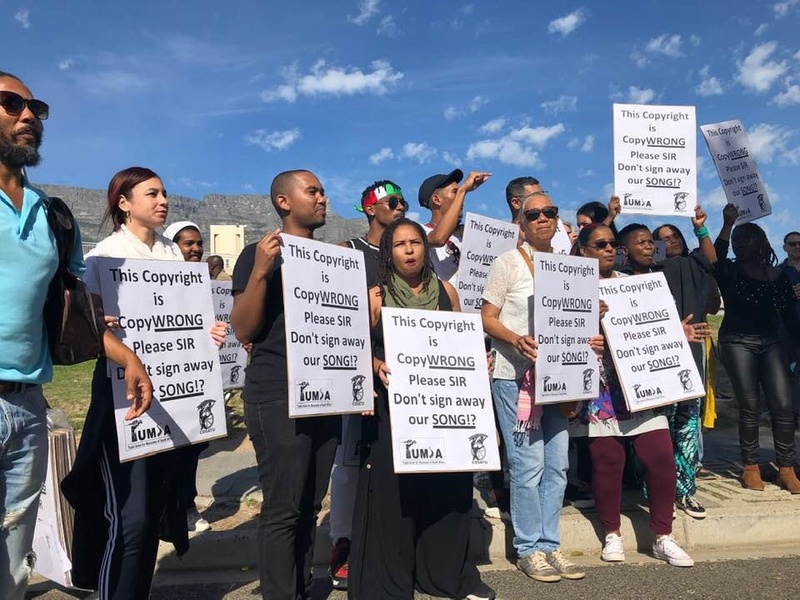 We implore you, sir, do not sign the Copyright Amendment Bill. Send it back to Parliament for redrafting, so that it better protects the rights of South Africa's content creators. As the musicians aptly put it "Don't sign away our song!"